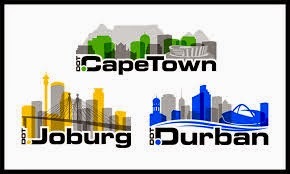 The .CAPETOWN, .DURBAN and .JOBURG domain name extensions were made specifically for the South African cities of Cape Town, Durban and Johannesburg. There are just a couple of days left the the Sunrise phases of the simultaneous launches of these three uniquely South African extensions. If you have a trade mark in South Africa, Lexsynergy recommends you consider registering in one or more of the three South African city domain name extensions. We might be slightly biased because of our strong connection to South Africa, but Lexsynergy believes these extensions will realise strong performance in Q4 of 2014. The Sunrise phases end at 29h59 SAST (21h59 UTC) on 1 October 2014, so visit our information pages now! Certain domain names have been classified as Premium and will be sold at higher prices. If you wish to apply for a Premium domain name please email support@lexsynergy.com to process your application. .LONDON to .PARIS Faster than Eurostar!